(or Richfield Tower) was located at Flower and 6th Street in Los Angeles, CA and was completed in 1929. This building was designed by Morgan, Walls & Clements and stood 372 feet tall with 12 floors. The Richfield Tower was demolished in 1969 to make way for the ARCO Plaza. 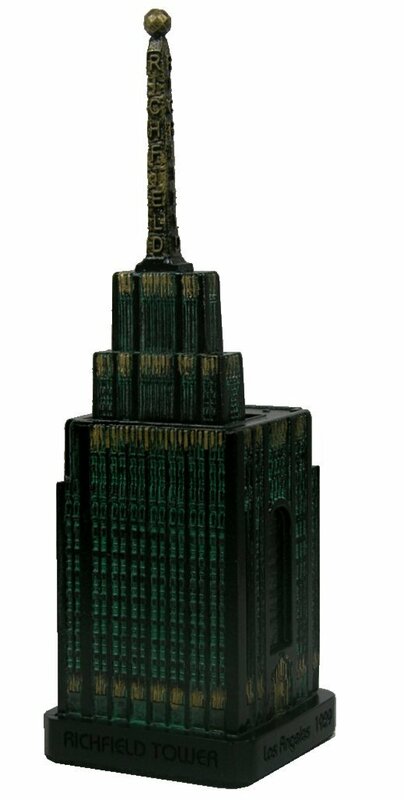 This pewter replica stands 6-1/2 inches tall and is finished in black with green translucent and gold highlights.